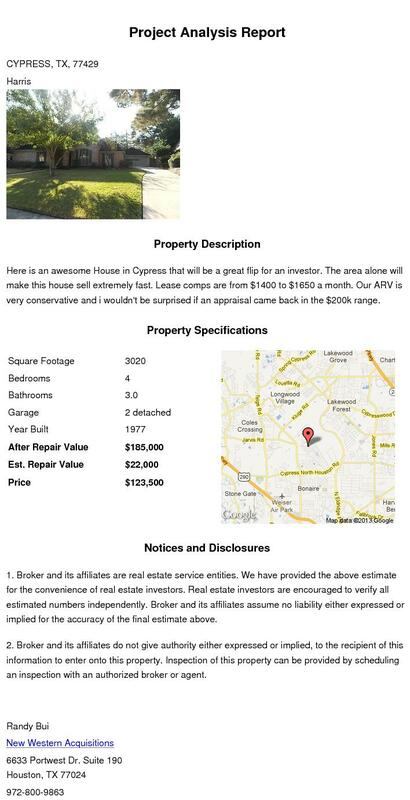 Here is an awesome house in Cypress that will be a great flip for an investor. The area alone will make this house sell extremely fast. Lease comps are from $1400 to $1650 a month. Our ARV is very conservative and I wouldn't be surprised if an appraisal came back in the $200k range.